LAS CRUCES, N.M., Dec. 6, 2018 /PRNewswire/ -- Will the Rio Grande Technology Corridor between Albuquerque, New Mexico and El Paso, Texas become the new Silicon Valley of opportunity? CEO of SameDay Security (SDS), Anthony Dohrmann, founder of Electronic Caregiver and Addison Care, believes it might just be. "This is a research and innovation rich area with needs of more local job creation. We have New Mexico State University, University of New Mexico, Texas Tech and University of Texas at El Paso in our backyard. These are smart, family-oriented people. Both job seekers, innovators and investors are seeking high-tech opportunities in the state, and we're working to expand and provide them," Dohrmann said. Dohrmann explained many local professionals are forced to vacate the state they love for more lucrative opportunities and a place to express their skills in other states. New Mexico and Western Texas invest to educate, and then we lose that talent to out-of-state technology companies. "It's time to significantly stimulate the local state economies. Other leading tech companies have considered relocating to New Mexico, but ultimately went elsewhere," Dohrmann said. "It's more than just about job creation. It's about developing meaningful solutions for life, health and consumer products in key industries with exciting technologies in artificial intelligence, machine learning, as well as virtual and augmented reality. We can improve quality of life on a variety of levels and the technologies produced in New Mexico could impact humanity on a global scale." SameDay Security, Inc. and its subsidiaries collaborate with universities and companies, such as Amazon Web Services, where the innovation team was just invited to present their technologies during the 2018 AWS Re:Invent Conference. Chief Technology Officer, Bryan Chasko, is a local New Mexican who was awarded the prestigious AWS Hero designation, earning him an elite place among just 60 people from over 25 countries for his key innovations and leadership. The company has committed $1M in resources into health and consumer innovation with the majority of those commitments going to New Mexico State University. "We've previously invested in the advanced NMSU biomechanics gravity lab that focuses on geriatric and fall research," Dohrmann explained. "We recently contracted to provide $340,000 in support and new technology to enhance innovation classrooms, equipping them with state-of-the-art virtual and augmented reality development assets. SDS is also funding 2 graduate and 2 undergraduate positions for the VR and AR lab, along with 2 gravity lab positions including both mechanical and electrical engineers." Over 90% of Dohrmann's 70 employees are NMSU graduates and his plan is to add 1,100 new jobs by 2023. Since beginning to work with NMSU, approximately $700,000 in commitments have been provided by SDS to NMSU technology innovation and health research. This alliance with NMSU resulted in over 7 years of research producing 8 academic publications. 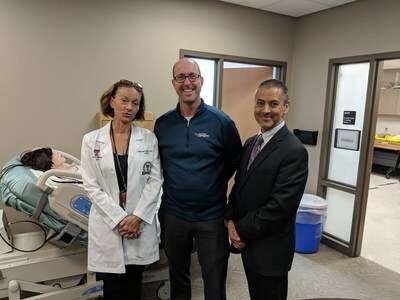 Former professor at NMSU, David Keeley Ph.D., said, "The innovation for population health, security, education and consumer technologies Dohrmann is creating were enticing enough for me to leave a tenured position to lead clinical research for his company. With the educational infrastructure already in place, the growing business climate throughout the region and the low cost of living, opportunities for innovation and employment are a catalyst for initiating growth and driving the development of the region for many years to come." SameDay Security, Inc. has raised and invested $36M into innovation, research and sales support that develops technologies for patient and elder care including, virtual caregivers and home health management technologies almost exclusively into New Mexico operations. 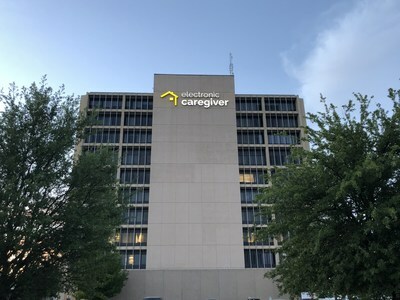 In January, they will debut the much-awaited Addison Care, a Virtual Caregiving System, at the Sands Convention Center at the Consumer Electronics Show in Las Vegas, Nevada.